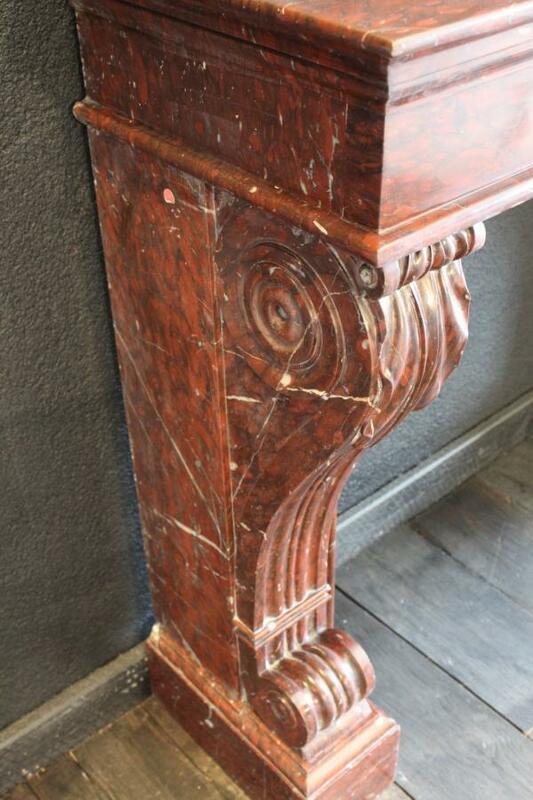 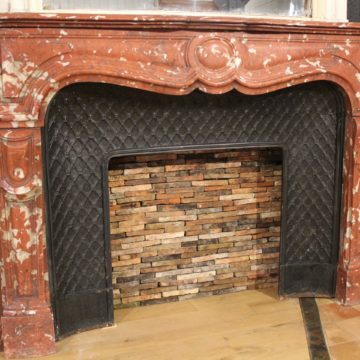 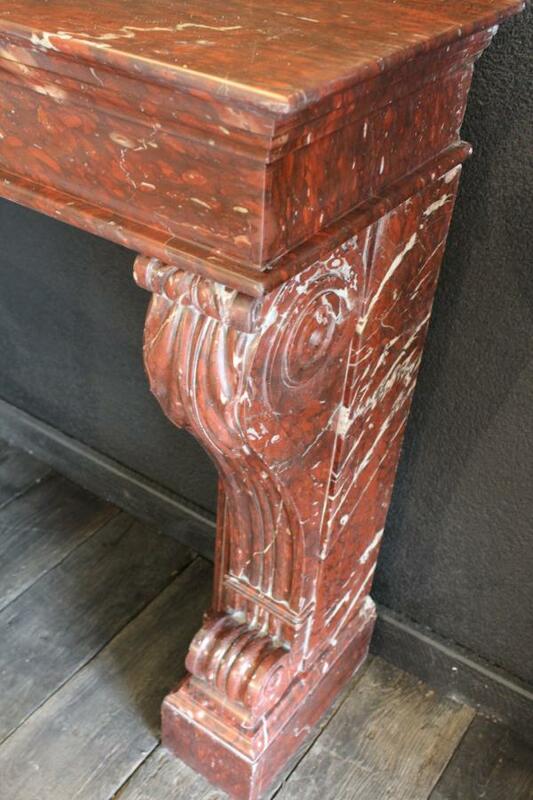 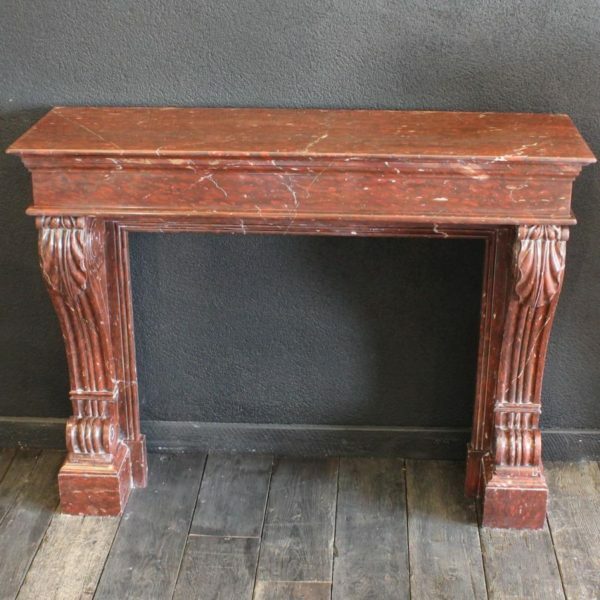 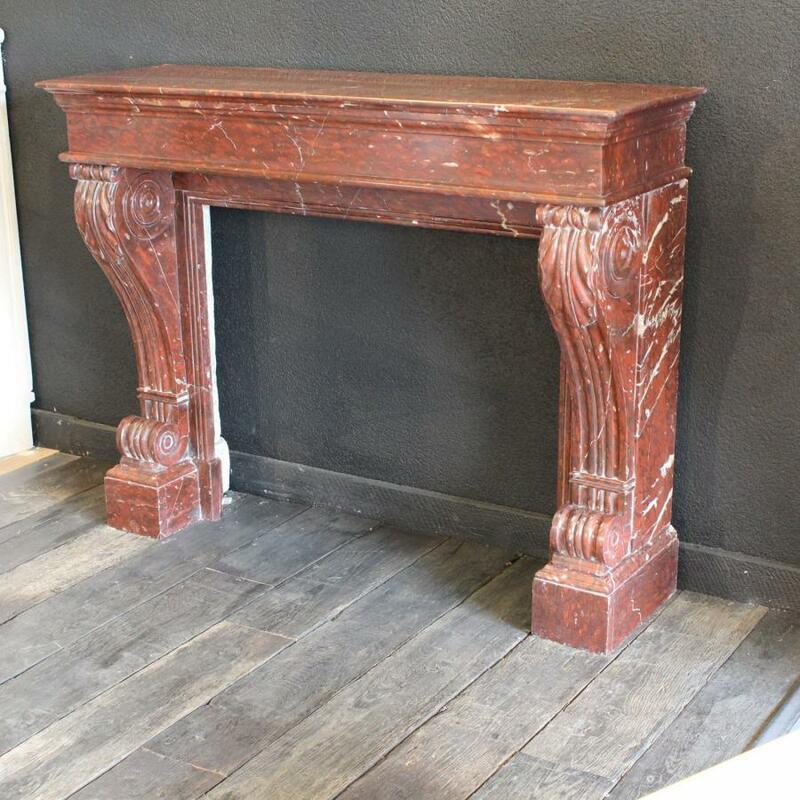 Antique French fireplace, mantel, chimney piece in Alicante red marble in the Napoleon style, presumed 19th century. 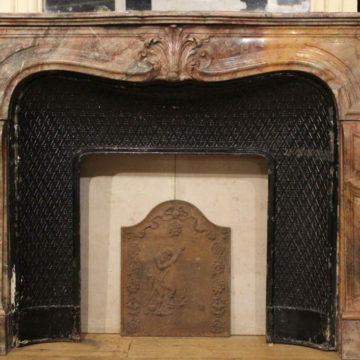 Antique chimneypiece, fireplace mantel dimensions approx : overall width 127cm (50 inches) x front-to-back 39cm (15.5 inches) x height 99cm (39 inches). 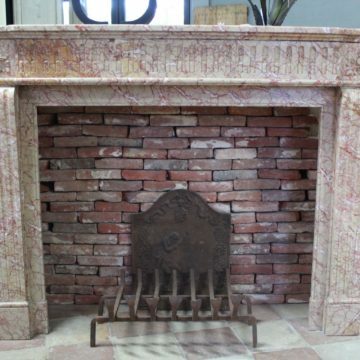 Firebox : height below lintel 710 mm (28 inches) x width between side jambs 860 mm (33,9 inches). 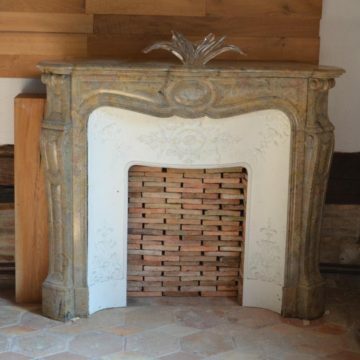 On display in one of BCA’s showrooms at the Maine & Loire premises at L’Hotellerie-de-Flée. Export document supplied.